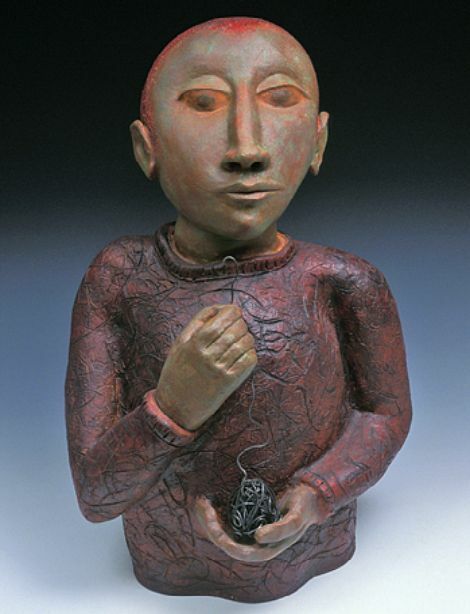 look at these calming clay sculptures from california artist beth ozarow. beth builds by slab, coil construction, modeling, or molds, and finishes with acrylic paint. 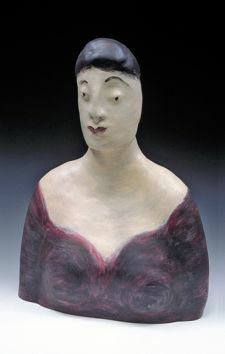 her current collection features works of busts and heads, each piece a combination of its own unique character and a projection of her own quiet energy. beth likes her focus to remain limited with regards to form and color, until her mind naturally shifts to take her down a new pathway. 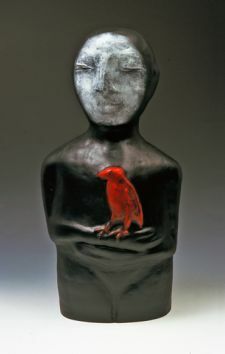 recent additions to this body of work include birds and other allegorical images, which are becoming progressively stronger, and not necessarily dependent on the human forms that began the series. she frequently does not know what character will emerge during the creative process until the final painting, and enjoys being surprised by letting each piece finish itself without a set plan. beth received a bfa in sculpture from the rhode island school of design. 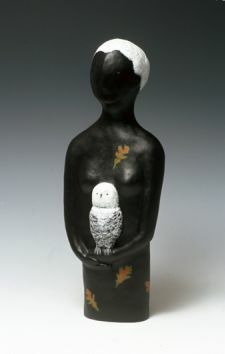 she lives in san francisco and has space at the clay studio in soma. more about beth and her work here. purchase her work at the artful home. that one with the red bird just blows my mind. her work is just amazing. i really really like her stuff! that “nightbird” sculpture is one of a kind — a cool $1500 and some change. it’s almost 2 feet tall! wow! what a special gift to receive for your birthday! i’m sure you have it in a place of honor in your home. 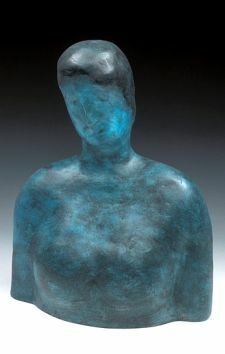 beth makes exceptional pieces that evoke and resonate and truly exude strength without being too aggressive or cliche. that is such a rare thing. 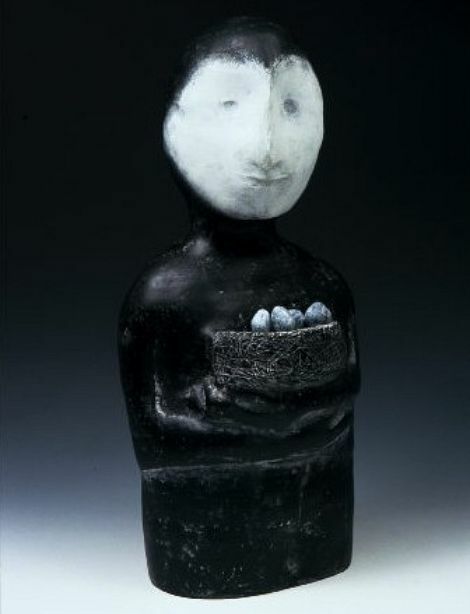 once you view her work, it is easy to understand (and agree with) what you are saying about that je ne sais quoi. thanks for the comment (and the compliment too)!